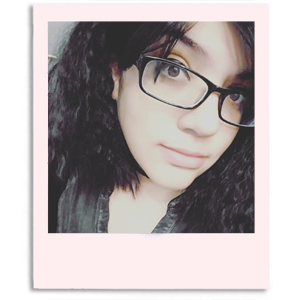 Hi darlings, how's everyone doing? I wish I could tell you guys everything was going great but I've been worried sick about my nail bestie. She's feeling a bit under the weather so let's all send her some virtual love. The weather here in Jersey is absolutely terrible, again. We get like one day of sunshine and five days of rain and humidity. I'm really glad I stopped depending on the weather in order to take my swatch photos. Homemade lightbox FTW! 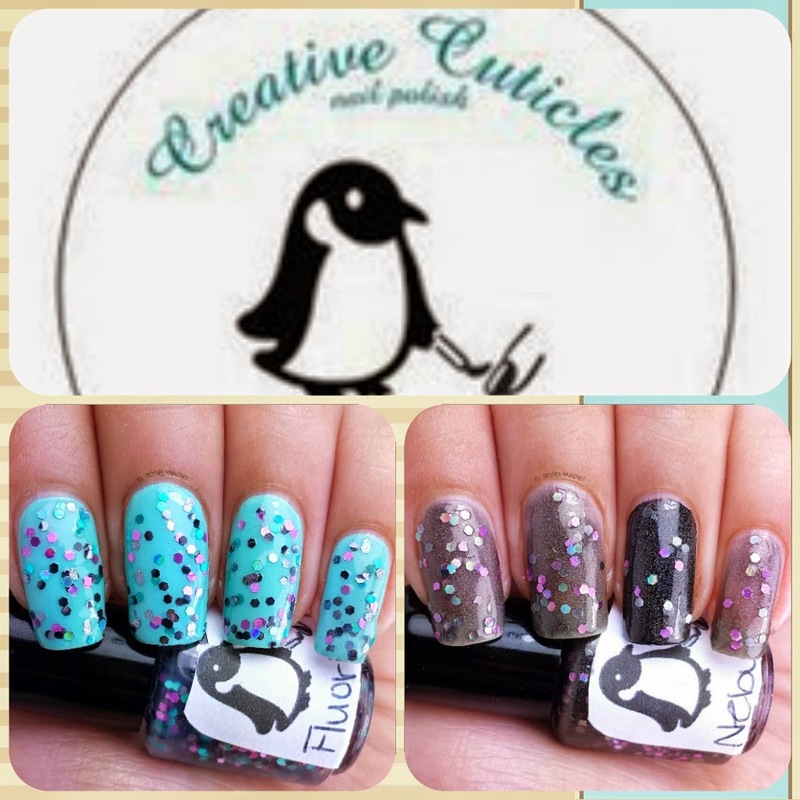 Today I have two polishes from Creative Cuticles Nail Polish by the lovely Kayla. This is the first time I try this relatively new indie line and I'm super excited. I'll be reviewing two galaxy themed polishes that will be releasing tomorrow Friday June 13th. 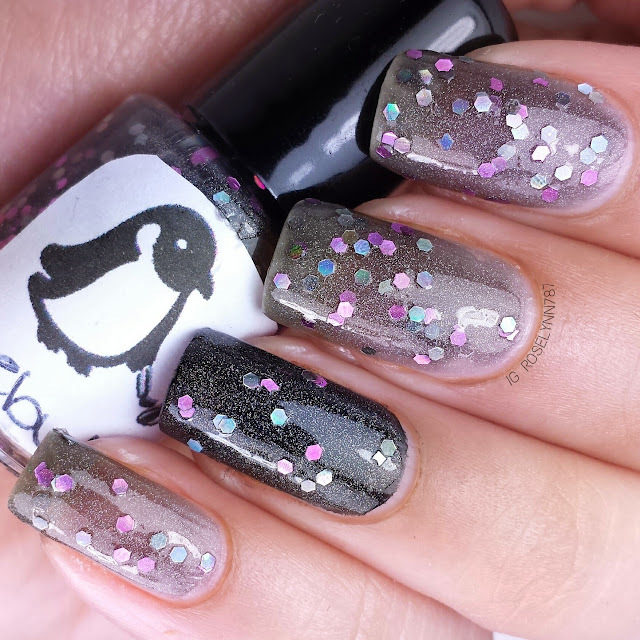 Nebula is a dark grey jelly based polish filled with light purple and silver holographic hex glitters. Isn't it absolutely gorgeous?! I'm not surprised by how much I love this jelly, just one look at it and it's right up my alley. I love the holo glitters, they bring 'life' to the grey jelly base. Fans of both jelly and glitter will want this beauty in their collection. Swatched over a clear base coat except on my ring finger, which was done over a black base color. I don't feel it's necessary to add an undie, but it really comes down to what kind of look you're trying to accomplish. I used about two-three layers of polish with the dabbing method and only one layer on my ring finger! I was so shocked at how much glitter was in a single stroke and this was in a mini bottle! Make sure to wait a little bit between layering to avoid possible glitter clumping. Formula was excellent and obviously no problems with the application or glitters. Fluorite is a clear based glitter-bomb filled with filled light purple, teal, and gunmetal holo hex glitters. I really love the intense holographic glitters in this beauty. It has a much lighter feeling in comparison to Nebula and looks great with various undies. I don't know why but I kept singing to myself, "look at this polish it gets the party going" over and over again. Apparently my subconscious gets the party going with this beauty, haha. Swatched over Rimmel's Mintilicious, used two coats with the dabbing method, and sealed with a fast-drying topcoat. The formula was consistent with the other polish and gave me no trouble to apply. There was no fishing for glitters either which was very surprising. Usually I have problems with heavy glitters requiring a bit of fishing but there was none of that happening here. As always guys, you'll want to make sure to layer a nice bit of topcoat to smooth out the glitters. I'm so pleasantly surprised with Kayla and her line of polishes. I can admit I was hesitate and nervous, but I got completely blind-sided by the formula. Consistency for both was perfect and didn't give me any problems, more importantly there was no glitter fishing. I'm looking forward for more polishes from Creative Cuticles Nail Polish in the near future. Fluorite and Nebula will be available for purchase tomorrow, don't miss out! I hope you guys have enjoyed these polishes as much as I have. Which one was your favorite? Are you a fan of the galaxy look? Talk to you later guys, xoxo. so happy that I coukd surprise you!! !